Real conversation between me and the guy on the phone from Music World, circa October 1999. | Are you drowning or waving? Real conversation between me and the guy on the phone from Music World, circa October 1999. 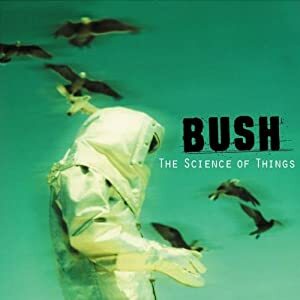 So… the new Bush record is out next week. The Science Of Things, yeahs? That’s right, on October 26. Because no matter how you think you remember it, just like in 2011, records here in 1999 come out on Tuesdays. Excellent, so I’ll be there at like, 11:55 on Monday? Oh, is there a better way? I don’t know, you just released The Fragile at midnight a handful of weeks back, yeahs? Well, yes — the latest Nine Inch Nails album went on sale at midnight on September 9, or 9-9-99. It’s not that surprising that you would remember that, after this short amount of time. Not like if you were looking back on it from some far-off future date. Exactly, and whatever. But this is Bush, so… yeahs. I can’t wait. Is there a special line for midnight openings?